A wholly owned subsidiary of the Toyota Motor Corporation, Daihatsu Moto Co. is one of the oldest surviving Japanese brands of four-wheelers and automobile engines. The brand came into existence as early as 1951 as a success to the Hatsudoki Seize Co. Ltd. Daihatsu worked as an independent auto manufacturer till the year 1967 when Toyota became the major shareholder in the company. The company has a worldwide market and is also known for producing some good quality electric cars. 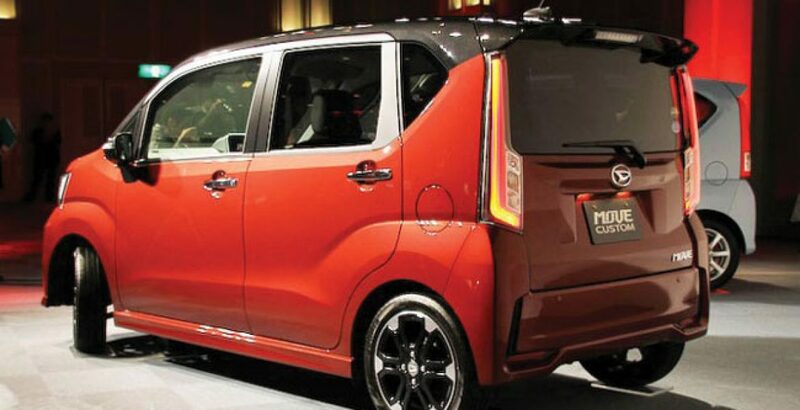 The Daihatsu four-wheelers belong to two major categories, mini vehicles and compact cars. In the mini vehicles category, you have Mira, Tanto, Hijet (with Truck, Caddie and Cargo variants), Move, Wake, Atrai Wagon and Copen, etc. Meanwhile, the Cast with Activa, Style and Sport variants is also listed among mini vehicles from the house of Daihatsu. On the other hand, the Daihatsu’s compact car segment includes Boon and Thor. Here you should also note that the company has a Friendship Series which offers welfare vehicles. These vehicles, like Tanto Welcome Seat, Move Front Seat Lift, Hijet Sloper and Atrai Wagon Sloper, are meant to be used for welfare activities in case of a catastrophe. Did you ever notice that the Daihatsu cars and mini vehicles appear larger than their counterparts from the rival brands? It is particularly because they have a relatively high roof. One of Daihatsu’s mainstay models, the Move was initially launched in 1995 to stand at the forefront of the mini vehicle market. Recently, in December 2014, the company introduced a fully revamped design of the Move in an effort to further enhance the basics of mini vehicles. For an instance, it brings a high level of basic performance particularly in the form of a newly developed body frame structure and a wide range of cutting-edge tech specs which the users will see for the very first time in a mini vehicle like Move. As you have a maiden experience with the Move, you will be convinced of the fact that it takes the basic level of performance to ultimate perfection. Here you not only get an efficient working mechanism for a smooth and stable drive but also enjoy full convenience of driving. The experience of riding is also wonderful as the passengers feel fresh and relaxed even after long and tiresome journeys. 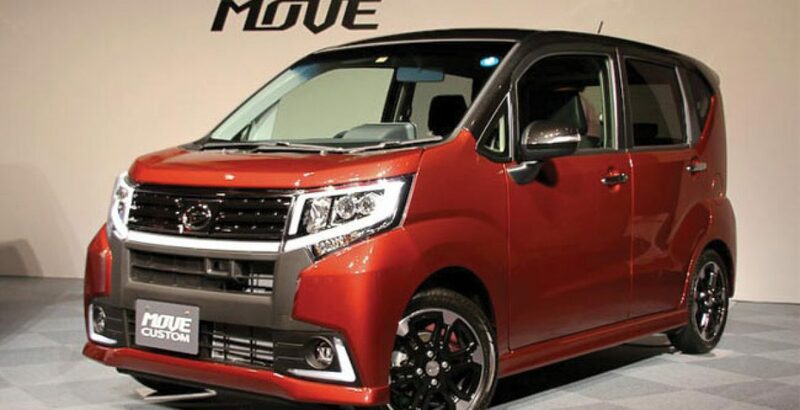 The latest 2018 version of the Move is being offered against the same affordable Daihatsu Move price in Pakistan. But it offers relatively increased power and quality. With the enhanced and refined power generation, the Move gets the potential to run over diverse road conditions. Here it is noteworthy that the power and quality emerges specifically from the revamped designing and engineering standards of the vehicle. In the latest launch of the Move, new more sophisticated functions have been added to the Smart Assist safety system to make your journey exceedingly safe and sound. It works by preventing excessive acceleration when the car is running in the reverse gear. 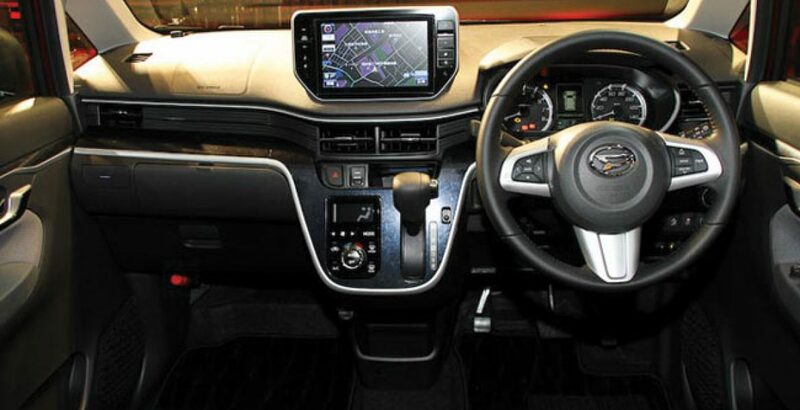 In the Daihatsu Move interior, you will also come across a user-interactive color multi-information display. It is to be found for the very first time in a mini vehicle like the Move. The display is powered by the TFT technology which, though not advanced, will make it quite convenient for the driver to view different driving parameters of the vehicle. Launched over two decades ago, the Move happens to be the first spacious mini vehicle from the house of Daihatsu/Toyota. The Daihatsu Move interior is spacious not only sideways but also along the vertical axis. It means the vehicle is taller from inside to allow easier movement of the passengers and their body parts, particularly, the hands. The spaciousness of the car does not mean that it should be heavyweight. Rather, so surprisingly, the bodyweight has been cut by around twenty kilograms without reducing the space in the latest model. A lighter bodyweight has been achieved through innovations like the user of resin outer panels. However, it is not at the cost of the passenger safety. As you can read in the Daihatsu Move review, the new model does offer the same level of collision safety as its predecessors. Among lots of other attractions in the form of design and tech advancements, the Move also inspires the mini vehicle aspirants with its incredible fuel efficiency. Though you won’t be likely to believe, but the Move can travel the distance of over thirty kilometers with the consumption of the single liter of fuel. Aren’t you startled with the Daihatsu Move fuel consumption? And when it brings such amazing features, the users must be expecting a high Daihatsu Move price in Pakistan. But that’s not exactly the case. 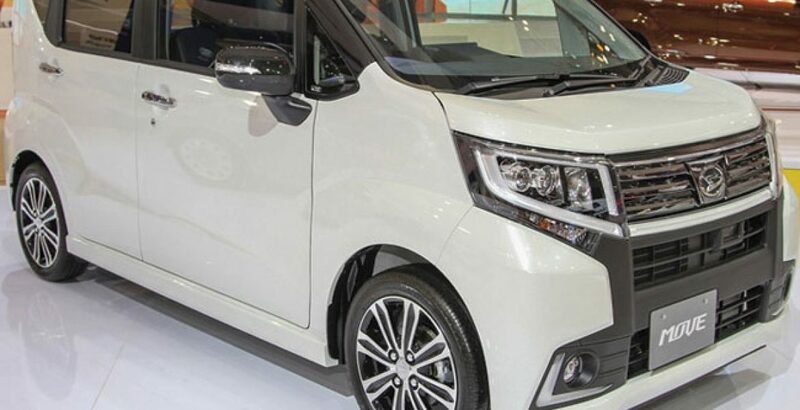 The mini passenger vehicle is significantly less priced and more affordable as compared with the smaller and low-end counterparts from the competing Japanese and European brands. The Move and the Mira are two different brands of four-wheelers from the same manufacturers of the Japanese origin, Daihatsu. Categorized as the mini vehicles of superior power and quality, both have some differences as well as certain marked similarities. For example, both the vehicles have same length and width. But the Move is a bit heavier and taller. The seating capacity is also the same in both the cases. So, which one should you choose for yourself as a family car? Well, it all depends on your taste for style and stature. Cutting the discussion short, the Move from Daihatsu is a great mini vehicle with some really amazing features that render it appeal for all and sundry. Its fuel efficiency further adds to its practical worth.